It was exactly a year ago today that I had brain surgery, my life had gotten so painful and so difficult that it honestly didn’t feel like it was worth living anymore. 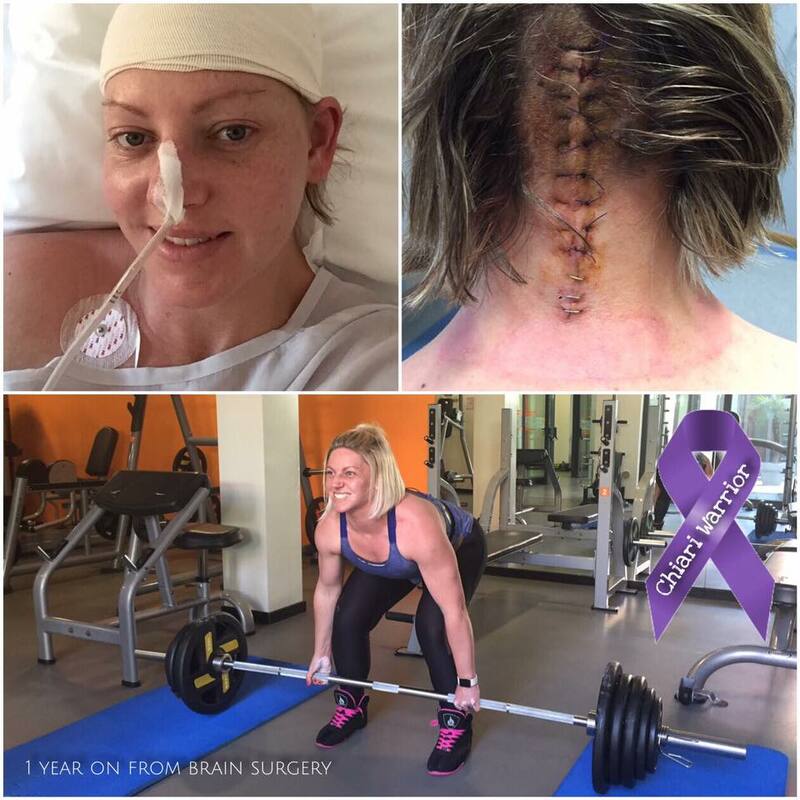 Surgery was my only hope but I was told not to expect too much, the main aim was to stop my Chiari getting any worse. Game on… telling me that I can’t do something is basically setting me up for a challenge and this was a challenge I wasn’t backing down from. Fortunately for me I had the most amazing surgeon here in Coimbra and the mentality that my life wasn’t going to stay the was it was. Determination, willpower, hopes, dreams and an incredible family have kept me going this past year and as hard as some days still are I am proud that I have not only overcome, but have exceeded expectations. Things are still harder for me than they used to be, but I’m so proud of what I have achieved that it’s hard for me to stop smiling, to see through the tears of happiness that are almost running down my cheeks as I’m writing this. Most of you will know that weightlifting was always a big part of my life and after being diagnosed and even for months after surgery it looked like my dreams of powerlifting were over. From Craig, my one and only taking over everything on my bad days so I can heal, to my ever loving little ones taking it upon themselves to kiss my scar if ever they realise I’m hurting, sometimes it’s just too easy to take for granted how good life as it is right now really is. It’s not until something changes so dramatically that you realise the life you have is actually incredible, regardless of what you’re doing with it. The Adventures of Fit Mom Ding © 2019. All Rights Reserved.